Tomorrow by Nadine Kadaan (published by Lantana Publishing) is a story of reality and hope. 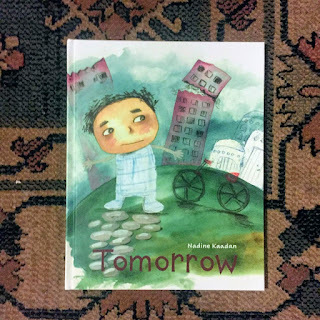 Nadine Kadaan brings to life the story of Yazan, a Syrian boy who is stuck inside the house – no school, no play and parents distracted by war. Parents naturally are focussed on the reality, while the children miss their childhood – playing, being with friends, learning and getting to know the world. But what do you do when your world is literally crumbling around you and your life is restricted to the four walls of your house? While the war has worsened in Syria, since Nadine left the country, tomorrow is a message of hope. We need to hope that tomorrow will be different, better, and more peaceful. Tomorrow is what many children are waiting for – because tomorrow might bring medicines, food, peace, and play. Tomorrow is a story from young Yazan’s viewpoint – what is important to a young boy? Meeting his friends, playing with his new bike that has a special bell that goes TINGALINGALING! He even misses school and his friends. This is a story for every child in every part of the world – because this is a tragedy of our contemporary world. Children who are growing up now in the UK or in any other continent should be given the opportunity to understand and empathise with their peers in war-torn cities and countries. 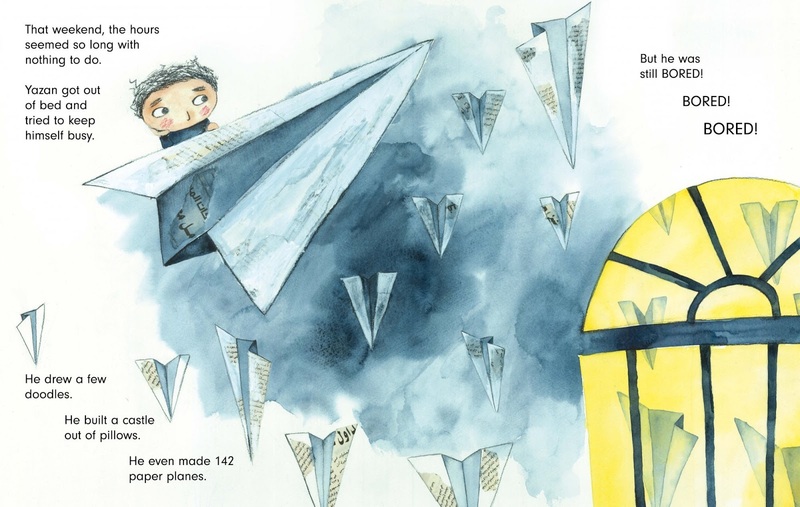 Yazan’s story will initiate discussions at home and in schools. Not just about war, but also about what would they paint on their walls, if they could paint anything? Tomorrow ends with hope for a better future not just for Yazan but for all children in all parts of the world where strife has stolen their childhood. Find out more about the book. And read Nadine's interview here. 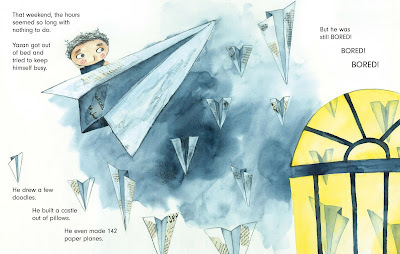 And if you're a teacher or a parent looking to introduce your children to more books about refugees, here are some wonderful books. But many of them are published in the US. Chitra Soundar is an Indian-born British writer of children's books and storyteller. Find out more at www.chitrasoundar.com or follow her on Twitter @csoundar. Good to see this review here, Chitra, and the links. Thanks.